April 15th is widely known as TAX DAY, but it is also the day that insulin was made available to treat Type 1 Diabetes. German scientist Paul Langerhans discovered in 1869 that insulin was produced by the pancreas and it was largely responsible for processing carbohydrates. 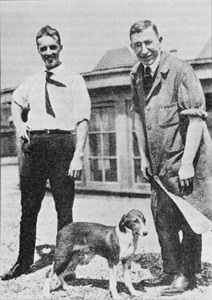 In 1922, Dr. Frederick Banting and medical student Charles Best, using this knowledge, extracted insulin from a dog’s pancreas and injected it into a 14 year old boy with Type 1 Diabetes who had shriveled to 65 lbs. After a second injection two weeks later, the boy began to gain weight and his blood glucose returned to a normal level. A few months later, the two doctors visited a children’s ward for Type 1 Diabetics. Most of the children were in comas and near death. 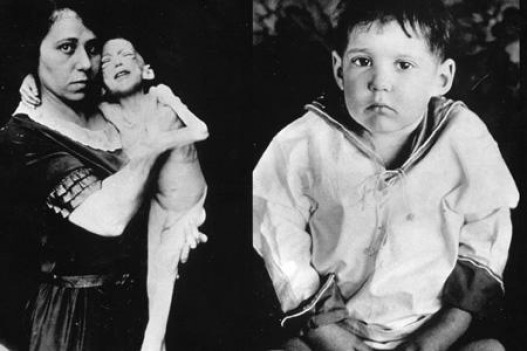 As the two injected insulin one child at a time, the patients began to wake from their comas. The nurses in the ward described the scene as a miracle. Later that year, Banting and Best began to work with Eli Lilly pharmaceutical company to refine the extracted animal insulin. By spring of 1923, Lilly was able to market the miracle drug world wide, saving thousands of lives that year, and every year thereafter. Banting accepted the Nobel Prize for Medicine in 1923 and shared his prize money with Best. It wasn’t until 1978 that a synthetic version of insulin was invented by Genentech, improving insulin absorption and again saving the lives of millions in the years since. Every day, I marvel at the miracles of science that have saved my son’s life. I am so very thankful for the innovations and perseverance of those working in the medical technology industries. This post celebrates all the innovators, past, present and future, who work tirelessly for a cure.